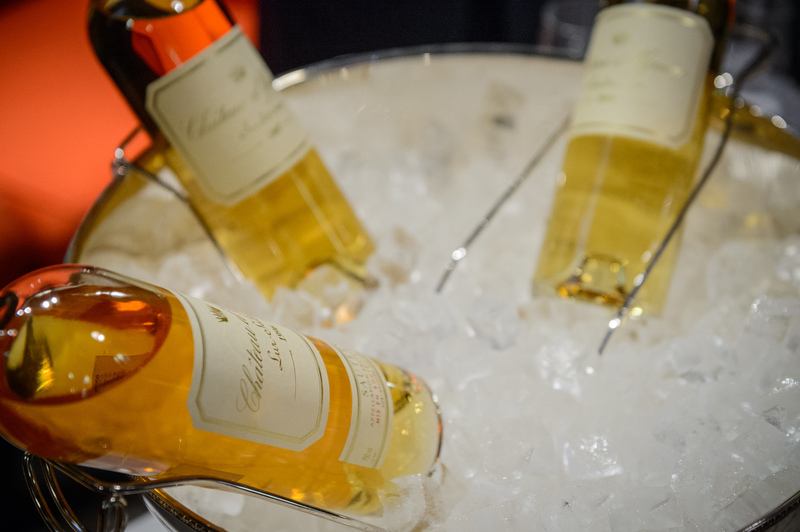 NEW YORK, NY--(Marketwired - February 17, 2015) - On March 13, 2015 the greatest celebration of Bordeaux returns to the U.S. with BurdiGala at St. Bartholomew's Church in the heart of Manhattan. BurdiGala will unite the top Bordeaux wine producers with the most enthusiastic and avid wine collectors, as well as 50 of the best sommeliers from around the world, to be led by Bernard Sun, formerly of Jean-Georges Enterprises. The celebration will begin with The Grand Tasting held at InsidePark Restaurant, where 16 producers will showcase three vintages of their top wine, one being the 2011. There will also be a Krug Champagne tasting of their Grand Cuvée, Rosé, 2000, and 2003. For the first time ever, guests of the Grand Tasting will have the option to reserve a complimentary Guided Tasting led by a trained sommelier/wine educator. The tour guide will take guests through a 'Tour de Bordeaux', walking them through the tasting while providing information on Bordeaux, introductions to the Chateaux owners, and suggestions on the vintages/wines to taste. 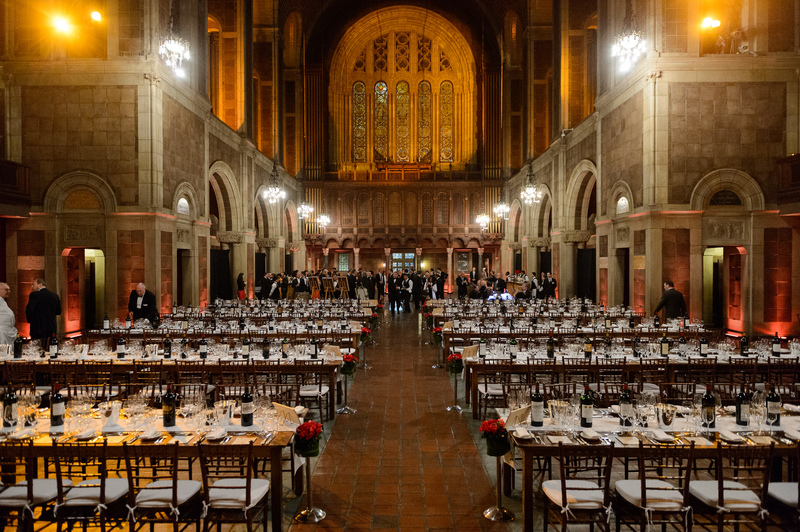 The celebration continues into the evening with the Gala Dinner at St. Bartholomew's church, where the space will be transformed into a lavish dining room, replacing the church's pews with rustic, family-style tables that will be covered in delicate Riedel stemware. The evening will begin with a Krug Champagne reception where flutes will be filled with champagne poured from 3L jeroboam bottles. The Michelin Star awarded and Top Chef judge, Chef Hélène Darroze, is flying into NYC with her team to create an exquisite, Bordeaux-inspired five-course dinner. 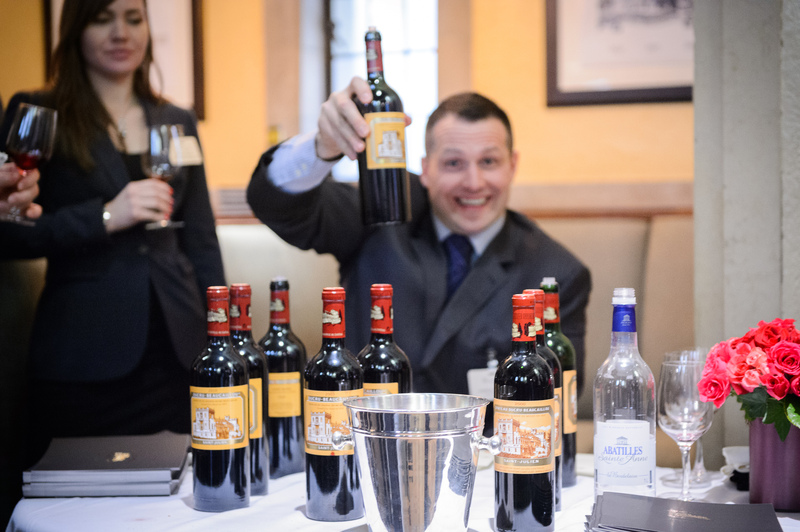 Each of the Châteaux Principals have personally selected large format bottles of older vintages from their cellar to share with guests; whom are also encouraged to bring a bottle of their favorite Bordeaux to share amongst fellow diners. 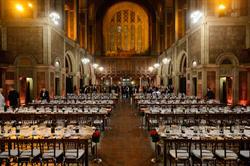 This concept is inspired by the convivial tradition of harvest dinners in France. BurdiGala NYC 2015 is non-profit, with all profits of the event going towards the 501(c)3 organization founded by Sommelier Yannick Benjamin, Wheeling Forward, helping people with disabilities rebuild their lives. The 17 Participating Chateaux include: Château Beau Séjour Bécot, Clos Fourtet, Château Cheval Blanc, Château la Conseillante, Château Ducru Beaucaillou, Château Giscours, Château Gruaud-Larose, Château Haut Bailly, Château d'Issan, Château Margaux, Château Montrose, Château Lynch Bages, Château Palmer, Château Pichon Longueville Comtesse de Lalande, Château Pontet Canet, Château Smith Haut Lafitte, & Château d'Yquem. Event Sponsors are: Air France, Krug Champagne, Nespresso, D'Artagnan, Riedel, Christofle, Relais & Chateau, Valrhona, Evian and Badoit, and Caviar Ultreïa. BurdiGala is an event produced by Winevent LLC.